When decorating your kitchen you not only need to consider your personal tastes and trends of the moment, but also must take into consideration the square footage of the room and, of course, form.From there, you can choose the best design for this important room in the home. Today we lend a hand with the reform and decoration of your kitchen.How?For telling you about the different types of design in the world.Once you know them, you’ll decanter by one or the other depending on your tastes, your needs and available space in your home.Would you like to join us? 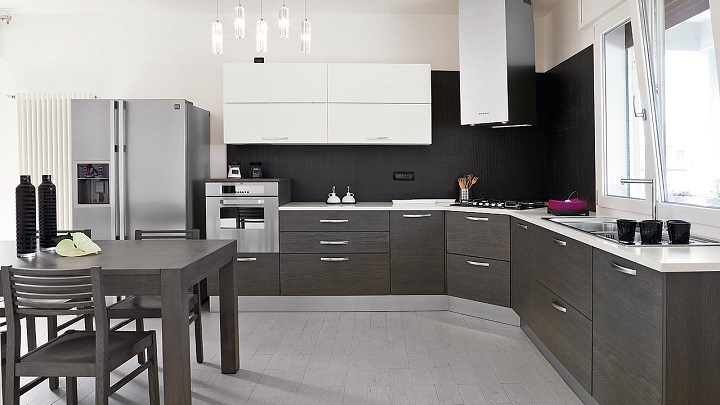 First, we need to talk about one of the most common designs kitchens.We refer to those with two parallel fronts, i.e. facing each other.This type of distribution is ideal to take advantage of the maximum space in kitchens with few square meters and long and narrow kitchens.One of its great advantages is that they offer plenty of storage space. More common are the parallel linear kitchens, which are those that present a united front on a wall.Are the most used in small houses, besides being very typical in homes where the kitchen shares space with the dining room?Of course, they are perfect for kitchens narrow and small. The downside is they are not as practical as other designs.So little people who cook at home can thank. It is also quite common kitchen “U” which, as you could imagine from the name, is the one that has a distribution in the form of this letter, i.e. three continued fronts are usually joined by module corner.A solution allows you to maximize the meters stay and is ideal for kitchens with many square meters. On the other hand, you can opt for the kitchens at “L”, which are spread across two perpendicular walls at an angle of 90.It is tremendously kitchen practices, as everything is close at hand.On the other hand, it is important to note that this distribution is ideal for both closed and open kitchens.In fact, it is quite commonly found in rooms attached to the kitchen. 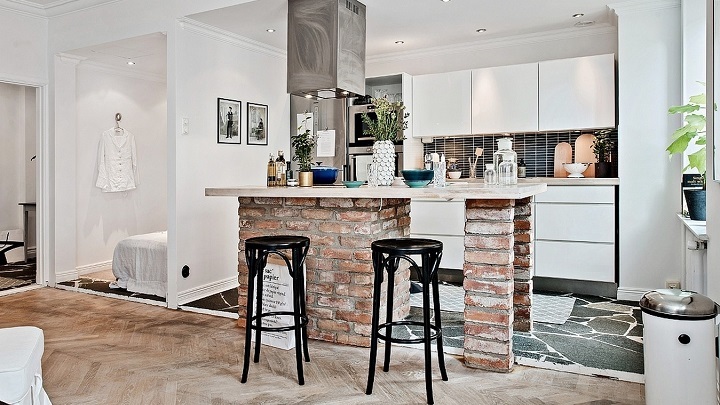 One of the kitchens like best is the one with an island center.However, this is only recommended for stays with many square meters or kitchens that are attached to the living room or the dining room.The island can be used to heat the area to sink, as an a breakfast bar, as a working area … It all depends on your own needs. 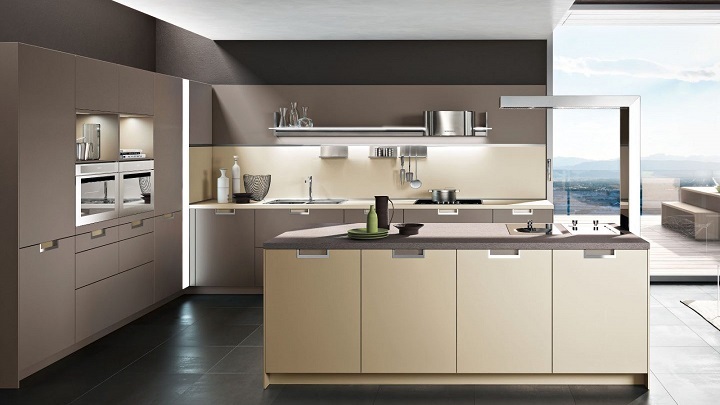 Kitchens with peninsula are very similar to those with an island, with the difference that the island remains attached to the rest of the kitchen on one side.This is a type of distribution that can be combined with the designs in the form of “L” and “U” and with linear kitchens. Finally, we talk designs kitchens with breakfast bar, which are very common in homes where the kitchen and living room or dining room share the same space.In these cases, the bar serves as separator space, but also often relies on as the breakfast area.In fact, also, they called breakfast bars. Finally, we suggest you to visithttp://sookiesookieboutique.com/for more informative tips.